We know there can seem like an endless amount of hoops to jump through before you can begin your surrogacy process — and we know a lot of them will be new to intended parents and gestational carriers. Perhaps one of the biggest surprises that our clients have is learning they will have to undergo a mental health screening before they can be approved for their surrogacy journey. Actually, no — all intended parents and gestational carriers are required to complete a separate psychological evaluation by a licensed mental health professional before they can move forward. In fact, it’s even a legal requirement in certain states. While our surrogacy specialists can answer all of your practical questions, just as you will need a lawyer to answer your legal questions, you’ll need a mental health professional to ensure you are 100 percent emotionally prepared for this upcoming journey. Many of our clients have never undergone a psychological screening before. Usually, these screenings take about one 60- to 90-minute session, but the process is unique for every intended parent and gestational carrier. It’s totally normal to be nervous — which is why we’ve broken down what you can expect from this visit below. More questions about the surrogacy process? Don’t be afraid to contact our surrogacy specialists at any time. If you are an intended parent, you may deal with a lot of emotions during your surrogacy journey — anxiety over your lack of control, jealousy over someone else carrying your child, and excitement over your upcoming arrival. It’s normal to feel overwhelmed before and during the surrogacy process, which is why a mental health screening can be so important. Your infertility history: It’s important that you have grieved all of your infertility losses prior to beginning the surrogacy process. You will need to be fully committed to the surrogacy journey, which means you must have accepted your losses and be looking forward to the positives of gestational surrogacy. Your emotions regarding surrogacy: Surrogacy can be harder for some intended parents than others, especially those who are used to having a great degree of control or intended mothers who are grieving their loss of the pregnancy experience. Your psychologist will ask you questions about these feelings and help you work through them before you begin. Your plans for parenting your child: Your child will be born through a unique manner, and it will affect how you parent them in the future. The psychologist will discuss with you your plans to tell your child(ren) about their surrogacy story, any gamete donors and other issues specific to raising a child born of assisted reproduction. If you are considering becoming a gestational carrier, you are making a life-changing decision to help another person become a parent. This is a beautiful, selfless choice — but not one that should be made without great forethought and consideration. Your reasons for being a surrogate: Not all women are eligible to be a gestational carrier, and their motivations can sometimes play a role in whether they are approved. Your psychologist will ask you about your reasoning for taking this path. Be honest; they can tell if you are simply interested in surrogacy for financial reasons instead of selfless, generous reasons. Your feelings about pregnancy: It’s important that all gestational carriers are excited for their upcoming pregnancy experience. After all, you will have to accept the risks and side effects of pregnancy for a selfless reason; there will be no child of your own to take home after nine months. For this reason, your psychologist will ask you about your experiences with your prior pregnancies and what you are expecting from this one. Your preparation for family expectations: Surrogacy won’t just impact you; it will impact your family, as well. For this reason, your spouse will need to complete a psychological screening, too. Your psychologist will talk with you both about your expectations for your family during your pregnancy to ensure you are ready for changing dynamics and the sacrifices you will all need to make. Your understanding of the risks of being a carrier: Becoming a carrier means accepting certain risks and repercussions — some of which are more extreme than others. It’s important that you understand these risks before deciding to be a gestational carrier. 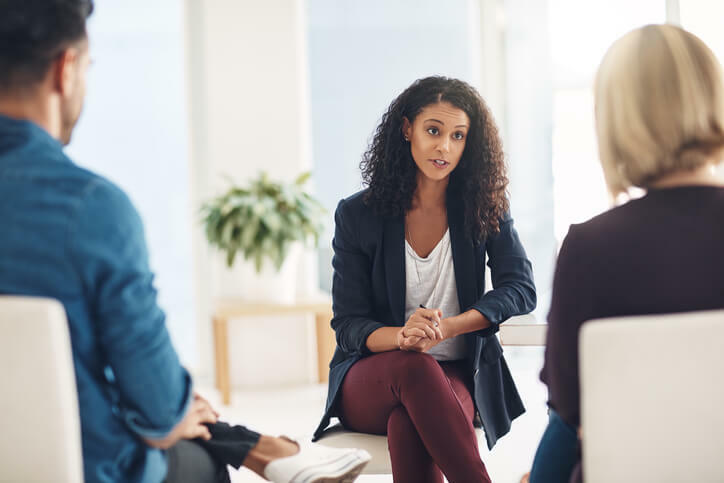 Your psychologist will talk to you about these topics to make sure you are 100 percent comfortable with the path ahead of you. Whether you are an intended parent or prospective carrier, your psychological screening is a big part of your pre-surrogacy process. Your surrogacy specialist will always help you prepare for this conversation and connect you with a trusted local professional for your screening. Still nervous? Think about the questions you may be asked and try to come up with some thoughtful answers ahead of time. Don’t be afraid to come into this screening with questions of your own; it shows you are mature and recognize the complexities of the topics you will be discussing. For more information about psychological screening and other surrogacy requirements, please call our agency today at 1-800-875-2229(BABY). Next Next post: Should You Use Embryo Donation & Surrogacy to Build Your Family?